Bullying does not occur in isolation. Social-ecological and systems models of bullying indicate that it occurs within a dynamic, complex framework of interrelationships between people and their environment, including individuals, peers, family, community, and school. They emphasize that we all need to partner in the effort to prevent bullying. One important element of this bullying prevention “collaborative” is people caring, responding, and standing up for one another. Bystanders play a critical role in this, especially because: 1) they’re frequently reported as the largest group affected by bullying, and 2) they often witness bullying that occurs through online communications such as social media. How bystanders react has a powerful influence on the prevalence of bullying in any environment, because bystanders can easily reinforce the negative behavior (Salmivalli, 2010; Salmivalli, Voeten, & Poskiparta, 2011). In one study, O’Connell, Pepler, and Craig (1999) found that students spent 54% of their time reinforcing bullying by passively watching, 21% of their time actively modeling bullying, and only 25% of their time intervening for those being bullied. We can’t assume students just don’t care or don’t feel bad when they don’t intervene. A district I recently worked with surveyed students about bullying, and when asked “What do you feel or think when you see a student your age being bullied at school?”, 76% of boys and 94% of girls reported they “feel a bit sorry” or “feel sorry and want to help.” Students may want to support, but don’t know how, are afraid that standing up will make them targets for bullying, or don’t think reporting will make a difference. So what do we do about this? 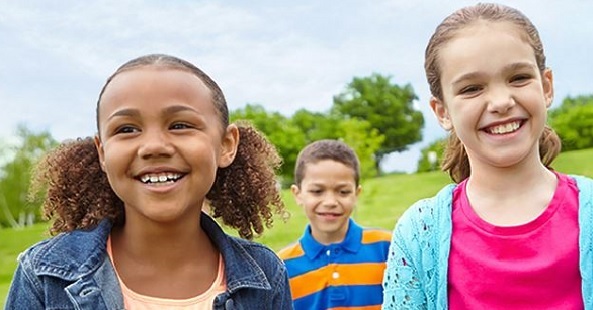 Teach the Second Step Bullying Prevention Unit lessons (Kindergarten–Grade 5), which incorporate all of the five “how” elements listed above and more. Incorporate the three-book Weird series, which tells the story of an ongoing bullying situation, into your lessons. Each book (ages 5–9) encompasses a different third-grader’s perspective. The books also include information for adults, activity ideas for students, and processing ideas such as coaching questions for the student who bullies. The next post in this series considers action items that can help create a climate that deters bullying. Hawkins, D. L., Pepler, D., & Craig, W. (2001). Naturalistic observations of peer interventions in bullying. Social Development, 10(4), 512–527. O’Connell, P. O., Pepler, D., & Craig, W. (1999). Peer involvement in bullying: insights and challenges for intervention. Journal of Adolescence, 22, 437–452. Salmivalli, C. (2010). Bullying and the peer group: A review. Aggression and Violent Behavior, 15(2), 112–120. Salmivalli, C., Voeten, M., & Poskiparta, E. (2011). Bystanders matter: Association between defending, reinforcing and the frequency of bullying in classrooms. Journal of Clinical Child and Adolescent Psychology, 40, 668–676.